If you thought Trump was unhinged during the election campaign then you have not seen anything yet for he is truly showing all the hallmarks of turning into an American Pyscho! First we had his inauguration speech, which was far from being presidential, a stream of gibberish inter spiced with "america first" and "make america great again", something a rebellious teenager would have put together. Now what would a sane President have been focused on following in the inauguration? Getting ones team together to start the hard work to rebuild america? Not Trump, his first order of business was the size of the inauguration crowd! That is all Trump and his minions have been focused on since the inauguration the size of the crowd, the reality should be dawning on the american people that they don't just have an alt-reality delirium inducing President but that Trump over the course of the campaign and resulting election win has become permanently unhinged, he has lost all touch with reality and now only see's what he wants to see even if there is no evidence whatsoever to support his delusion. 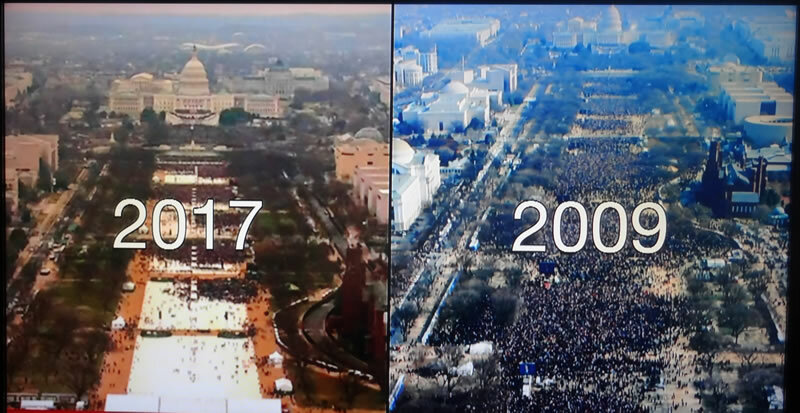 The photos make it clear there were probably less than HALF the number of people attendeding Trumps inauguration than Obama's first inauguration. Whilst Trump perpetuated the fake reality of his inauguration for instance stating that it was the greatest inauguration crowd in history. Then we had to witness the ridiculous press briefing by Sean Spicer who came across like something out of a third world dictatorship, forced to talk garbage by blaming the press for fake reporting on the size of crowd, it was as thought he was straight out of Saddam's Iraq, Comical Ali. So I guess on top of fake news we can look forward to White House fake press briefings. But not anymore, now it was all fake news by the fake media despite the fact that it had spewed from his own mouth barely a week earlier! 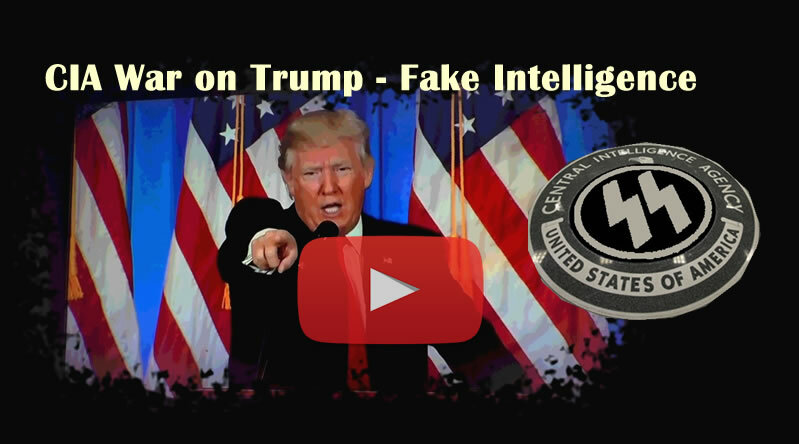 So whilst Saturday Trump sang the praises of the CIA, being 1000% behind them, when a week earlier they were Nazi's. 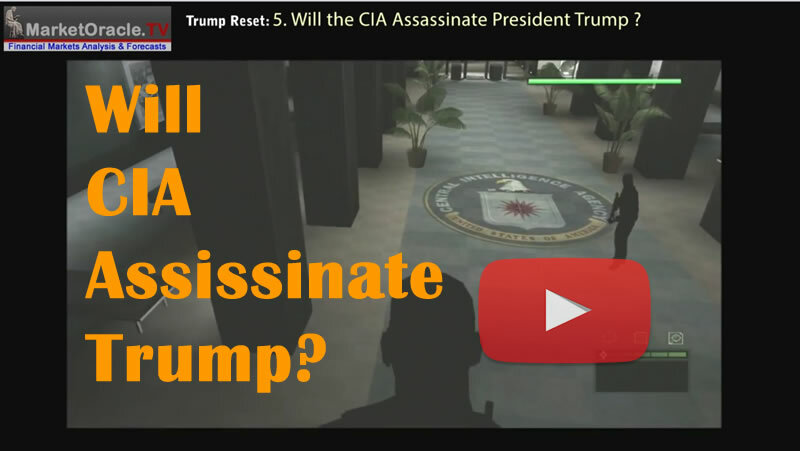 Then it is highly probable that he will alter his reality several more times during the coming weeks, months and years which means that Trump still poses a threat to America's secret police.